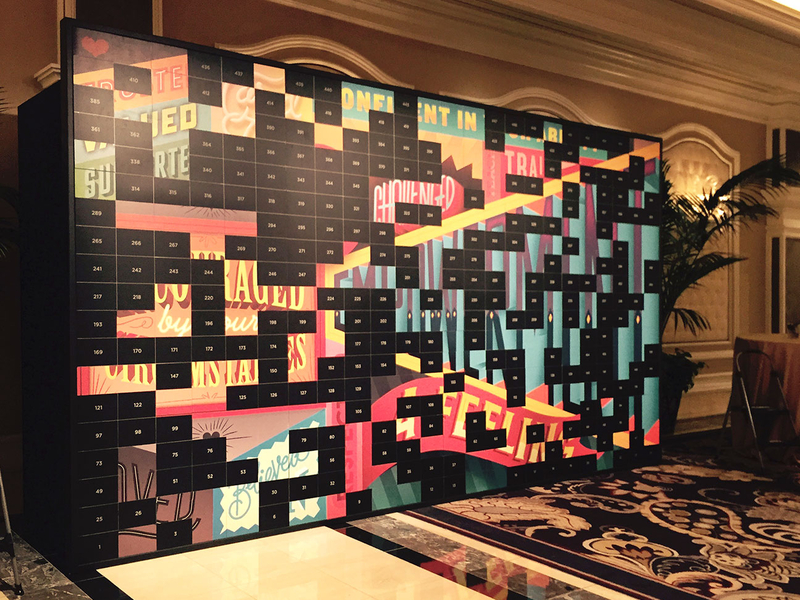 I was asked to create a large mural to be used for a fun exercise at the annual Chipotle management training conference. The piece was cut into cards that were given to each person at the conference. Everyone was invited to write a message on the back and place their card on the wall with the corresponding number. 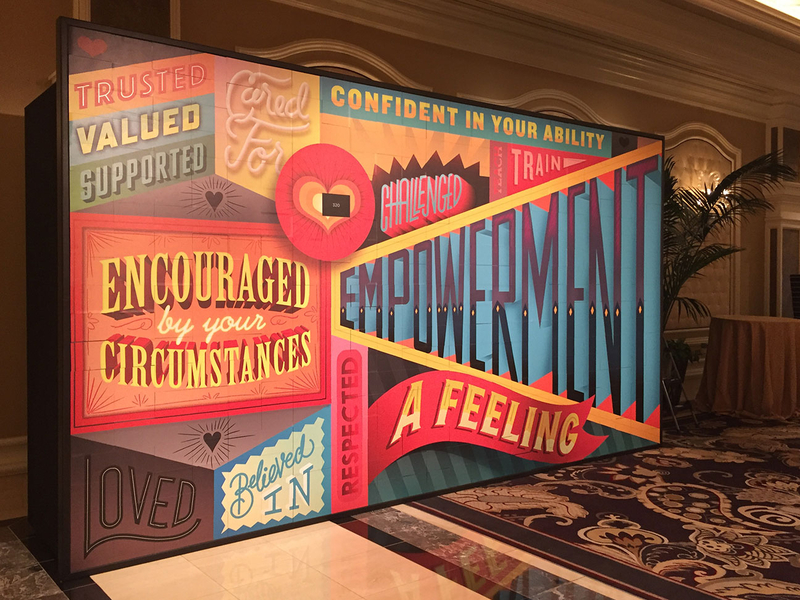 The participants watched as the mural revealed the key messages of the conference as cards were put into place.